Nice to see Stephen Preece as the quasi-greeter standing by the door. I thought he was joking when he mentioned the bar had opened for drinks only a few hours earlier. Rumour has it that somebody had to 5-hour drive round-trip to Toronto to get the liquor license so they could open the taps. So, WR you know what to do when you see awesome: show up and spend a few bucks to keep it all going. Cover for the band was only $2. Parking is across the street by the ice rink or over on David Street. 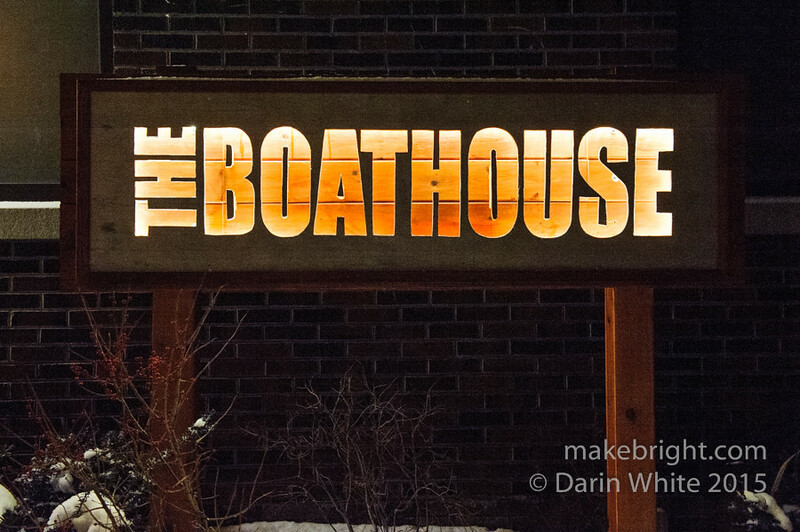 This entry was posted in joint and tagged beer, Boathouse, Kitchener, music. Bookmark the permalink.